CData ODBC drivers connect your data to any database management tool that supports Open Database Connectivity (ODBC). This includes many of the most popular productivity tools, adding new capabilities for document sharing and collaboration. 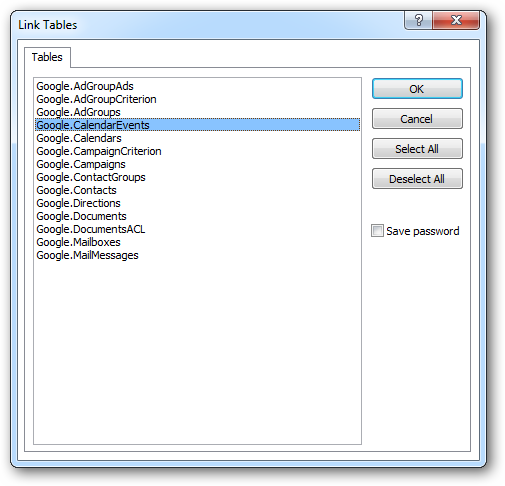 Using the CData ODBC driver for Google Apps, you can update live Google data in Microsoft Access; for example, you can make updates to a calendar that can instantly be seen by other users. If you have not already, you will need to save Google connection properties in a data source name (DSN). Microsoft Access will use the DSN to connect. 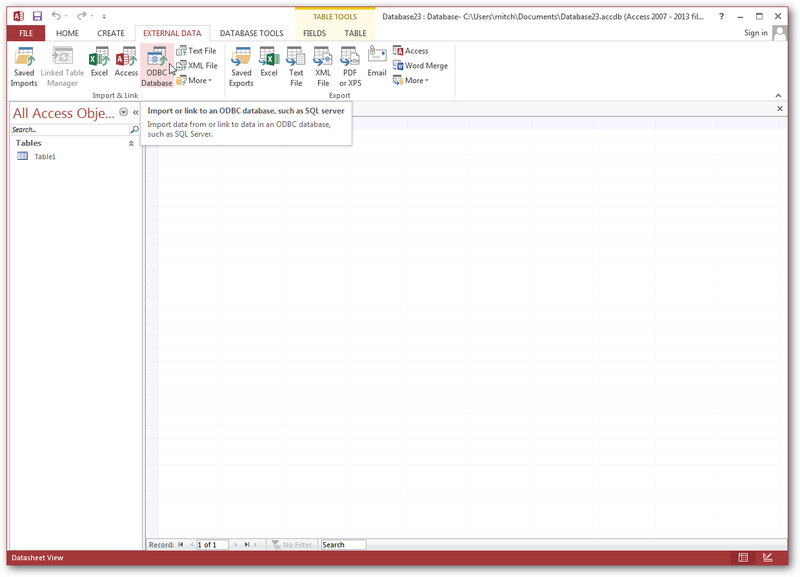 You can create and configure a DSN in the Microsoft ODBC Data Source Administrator. 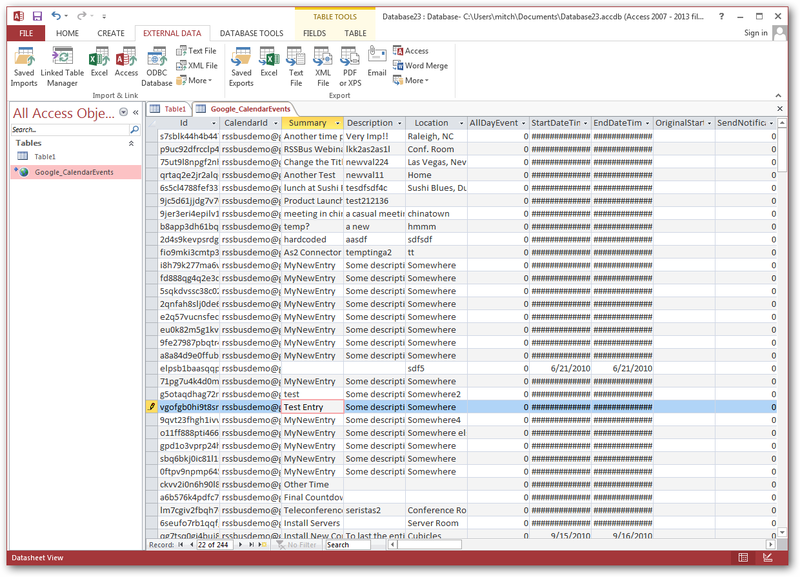 For a guide to set the required properties in the ODBC Data Source Administrator, see the "Getting Started" section in the help documentation. Follow the steps below to create a linked table to Google Calendar Events. 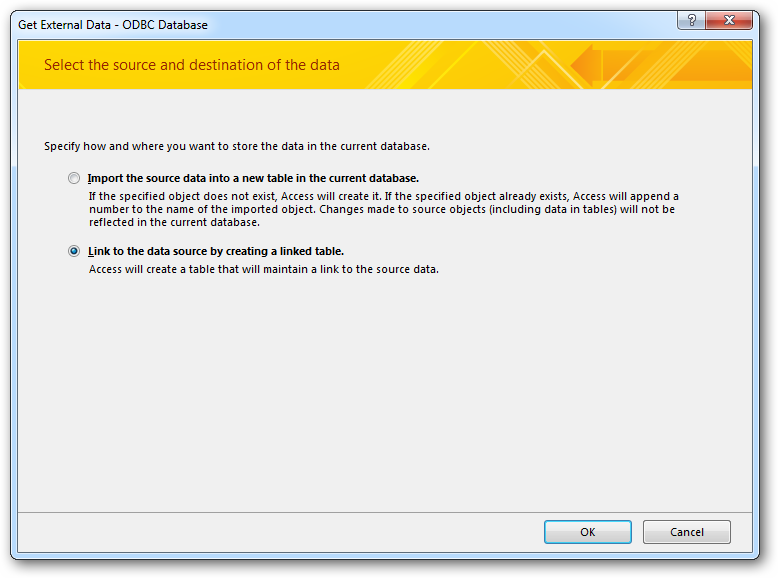 On the External Data tab in Access, click ODBC Database. Select the option to link to the data source. A linked table will enable you to read and write data to the calendar. 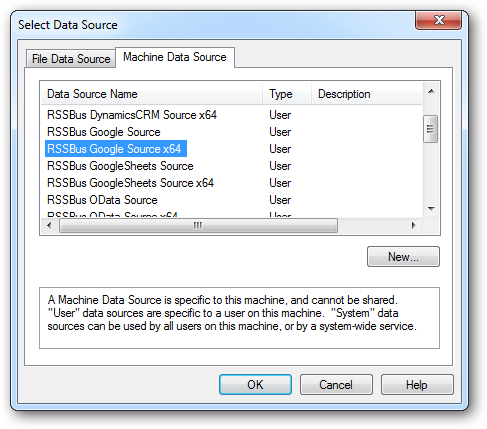 Select the CData Google Apps data source from the Machine Data Source tab. The CalendarEvents table contains events for the default calendar, if no other calendar is specified. For more information on this table, see the "Data Model" chapter in the help documentation. Double-click the linked table to make edits. The linked table will always have up-to-date data and any changes made to the table will be reflected back to the underlying calendar.